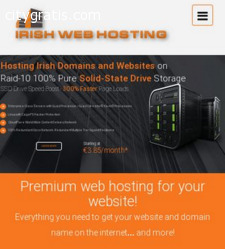 At Irish Web Hosting, we aim to provide the best value hosting packages to our customers coupled with excellent customer service and technical support. We are proudly based in Dublin, but serve customers all over Europe. Every package comes with free 24/7 technical support, 365 days a year.